Christmas may be over (click here to read how I spent my weekend), but my holiday vacation is only beginning! I'm currently enjoying the west coast with my bestie, so follow our adventures on my Insta stories! 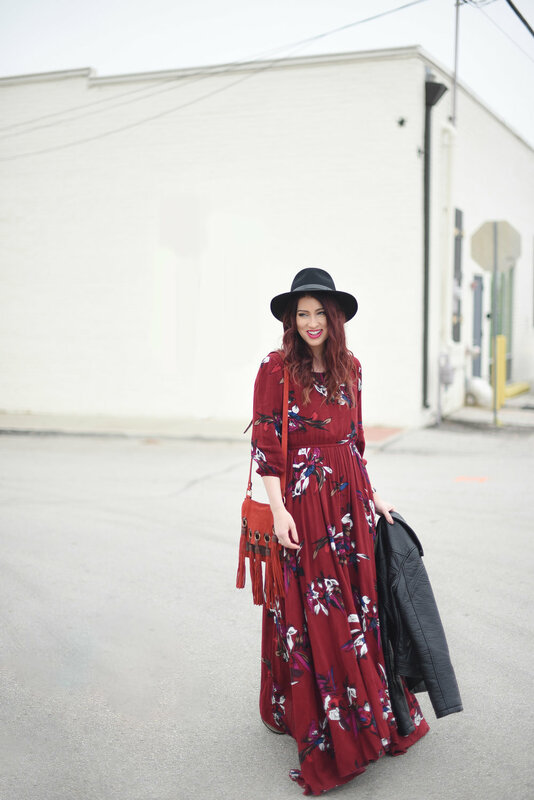 As for the look...I'm guest hosting the Trend Spin Linkup with my friends Laura and Erin and the theme this week is prints and patterns. 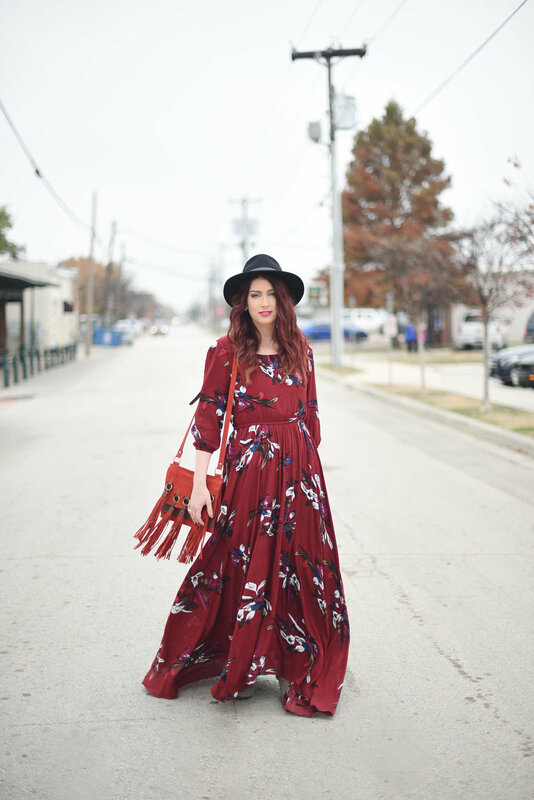 Florals are a year-round standard in my wardrobe, but this burgundy maxi is especially stunning for winter, don't you think?! Its Free People look-a-like rings up at $98 and everyone always asks me if it's Free People when I wear it. Nope, it's Chicwish, who's been winning at life lately (see my other recent fave from them here and enter to win a $500 Lululemon gift card while you're there). Throw a jacket over this versatile dress for the cooler moments of the day...I chose this faux leather piece (also spotted here)! 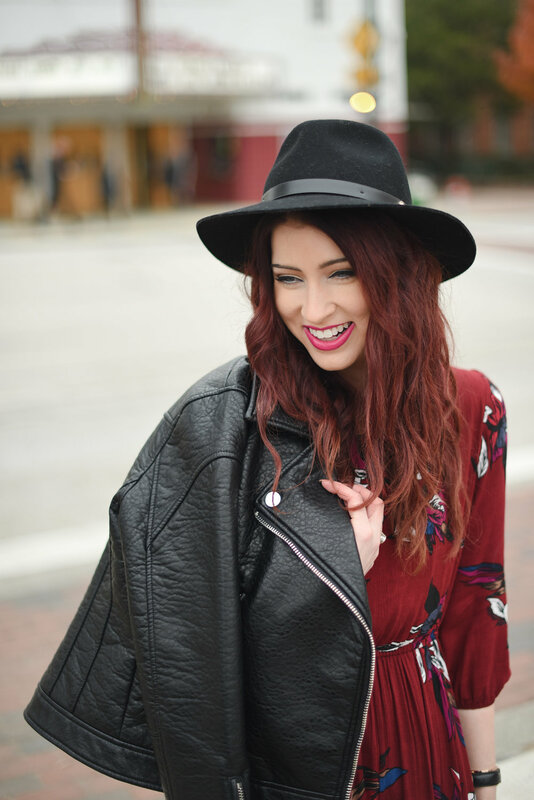 If you're a blogger and want to share a print or pattern-themed post, add your link below and be sure to follow your hosts from Walking in Memphis in High Heels and The Fashion Canvas! Thanks for having me, ladies...it's always a blast linking you with you!